EnRoute is a powerful routing program without a doubt. I can create some pretty cool routing files using it but it is also handy for so much more. When I need to create a plan view of something to scale it is the CAD program I turn to. 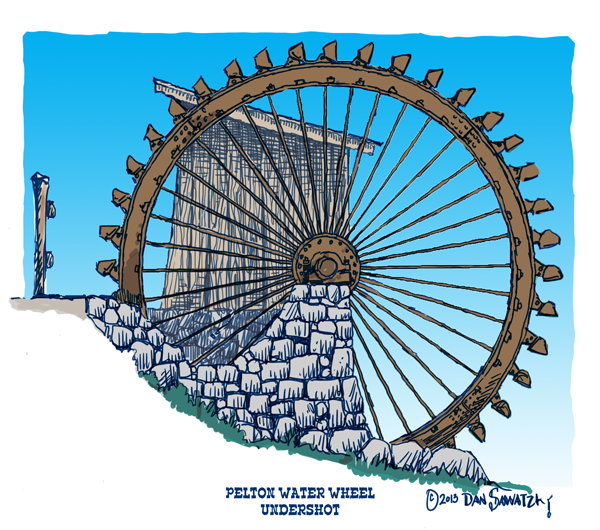 Last week I used it to design the plasma cutting files for a Pelton water wheel that we are building for our current theme park project. As always I designed the concept art in Photoshop. 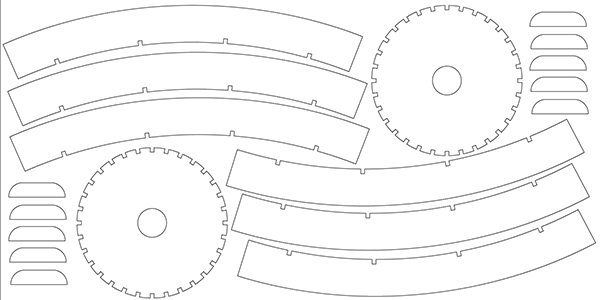 This artwork provided the ideas to then create the cutting files in EnRoute. I neglected to capture the creation process but it was pretty easy. 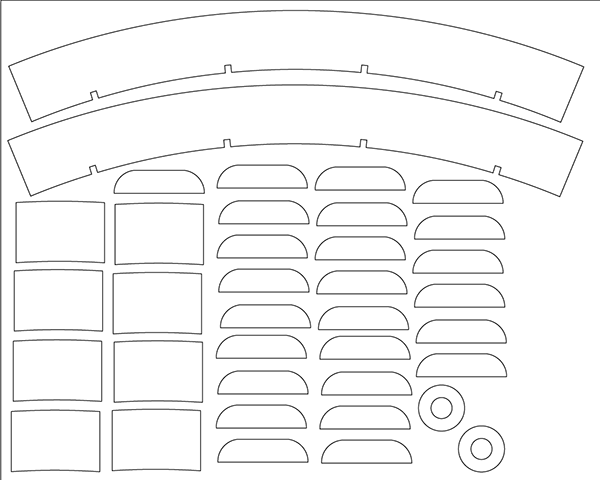 The wheel rim is twelve feet six inches in diameter and six inches wide. There are 32 spokes which were arranged at the appropriate angle. I then used the jigsaw tool to cut the notches into the rim and hub of the wheel pieces. Then I created the division lines to cut the wheel rim into eight pieces so it would fit on a four by eight sheet of 1/4 steel and used the jigsaw tool to create each segment. I created the join plates, paddles and hub center rings and then arranged them onto two four foot by eight foot plates. These were exported as DWG files for my steel worker friend with the cnc plasma cutter. The pieces were cut perfectly. Today we welded the center section together in the shop. 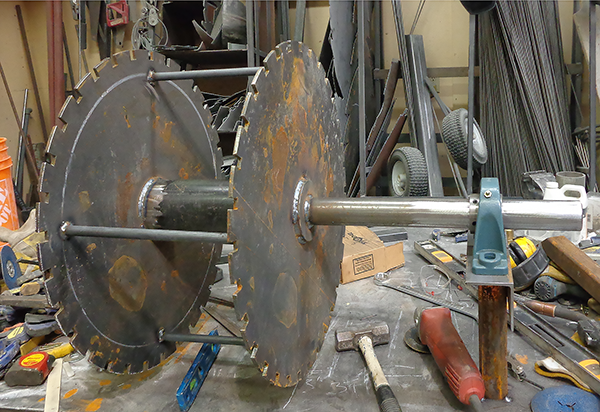 The rest of the fabrication will happen on site as the piece is too big to move once it is assembled. Another very large project I used EnRoute on is the plan for a project we are next taking on. 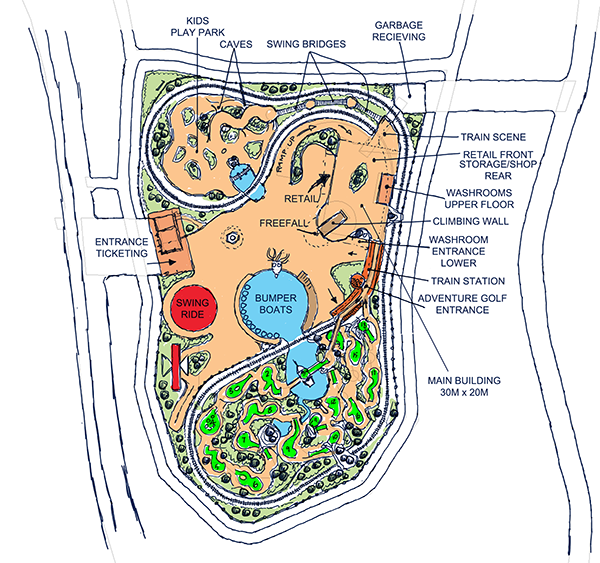 It is for a two and a half acre theme park in Trinidad. 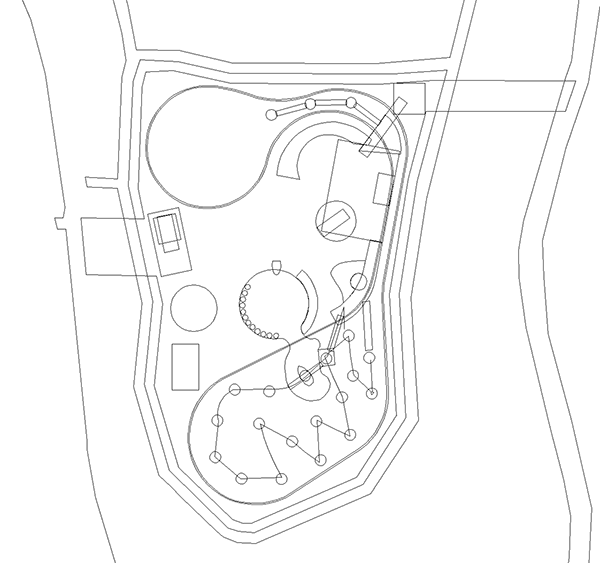 My job at this point was to draw up the concept plans for the park. They need to be in scale but also need to appear hand drawn. Others will later draw up the building plans using a CAD program. I was sent the plot plan as a PDF. I opened this and then did a screen capture which I then saved as a JPG file. This I imported into EnRoute and then traced using the drawing tools. I was able to establish scale from known measurements and so I resized the drawing to this scale. I could then add new elements accurately. Building sizes and railroad turning radii were important to establish and determined how everything was placed and fit together. Once I had all of the basic information in place I first saved it for future reference and then again created a screen capture. This screen capture was then opened in Photoshop so I could redraw the image once more with the appropriate detail and color needed for the presentation art needed for the concept art of the park. The planners and engineers will use this reference material to generate the final plans for the park. EnRoute is indeed a powerful program useful for far more than its creators imagined.